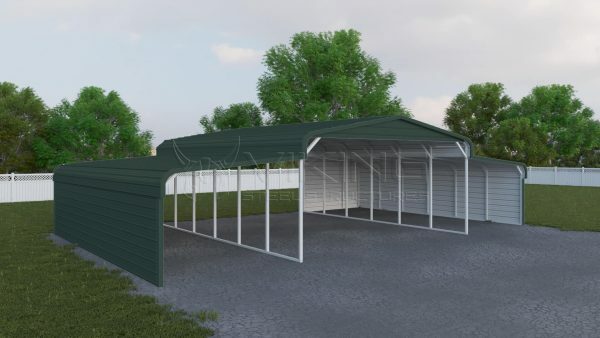 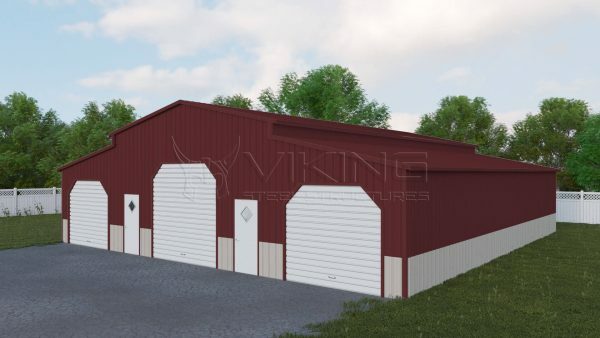 44′ wide x 35′ long Boxed Eave (a-frame) style roof Carolina Barn. 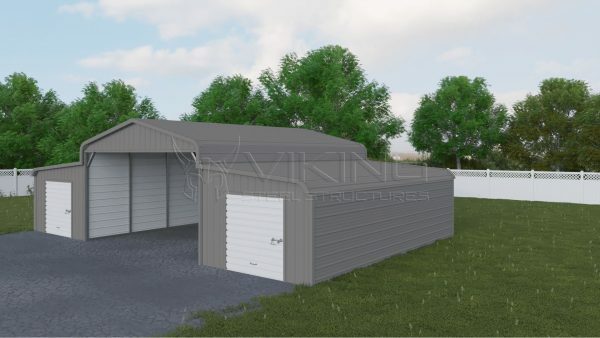 Center unit is 20′ wide x 35′ long with 14′ side height. 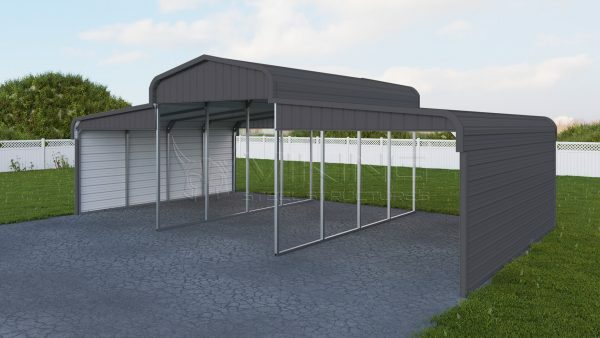 One panel per side and two gable ends. 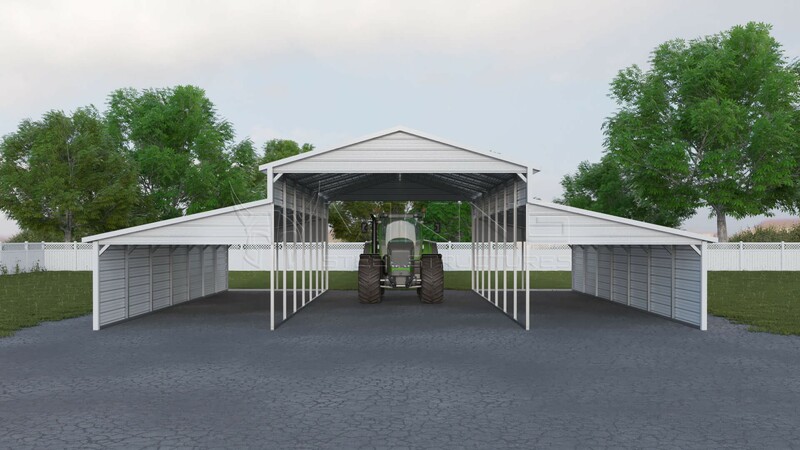 Lean tos are 12′ wide x 35′ long and 9′ side height, both sides enclosed with one gable end at each end.